Art therapy has been proven to be highly effective for children with disabilities. 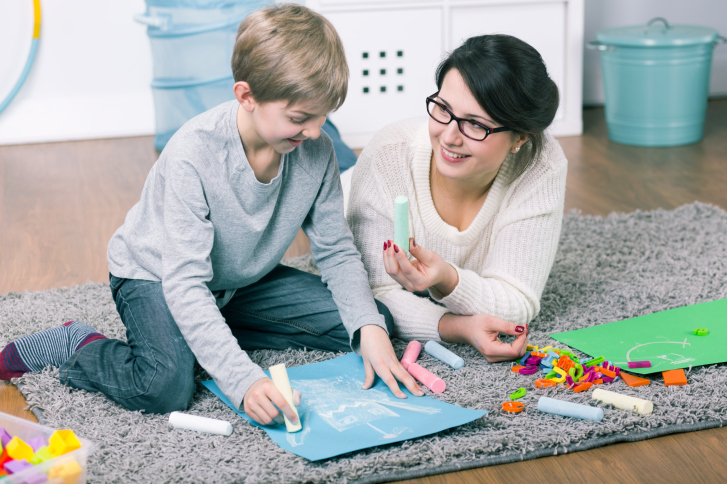 Several different types of therapy are beneficial to children with disabilities. An excellent example of such would be art therapy. Children with disabilities sometimes have a difficult time communicating through speech. By giving a special needs child art supplies like a paintbrush or some markers, an art therapist may be able to get inside their head and learn more about them.It is also a great way for children to express themselves and have fun in the process. Here is an explanation of art therapy and some of the benefits it has for children with disabilities. This kind of treatment is fun for most children. Children are curious and creative by nature. A child’s mind is always running wild with imaginative ideas. Art therapy allows children to be creative constructively express their emotions. In an art therapy session, a mental health professional will meet with the child and have them perform therapeutic exercises. They could consist of painting a picture, constructing a journal, or creating a sculpture. The primary goal is for the child to grow on a personal level through the use of art materials. The environment of an art therapy session should be calm and put the child at ease. If they do not feel comfortable with their surroundings, they will not get the most out of the session. The hope is that the child will gain confidence in themselves through their participation in the various art activities. In many instances, children are elated with some of their creations and can’t wait to go home and show their parents. Art therapy is also intended to help reduce stress levels which trouble many special needs children. Art therapy will allow a child to explore and learn about themselves. The art therapist is there to help guide the child along the way. They will provide their insight in regards to the child’s art creations and behavior during the sessions. This entry was posted on Friday, August 4th, 2017	at 5:20 pm	. You can follow any responses to this entry through the RSS 2.0 feed. Both comments and pings are currently closed.